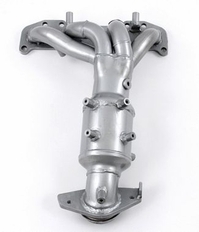 Pacesetter Catted Exhaust Manifolds are a great bolt on replacement / upgrade for your vehicle. 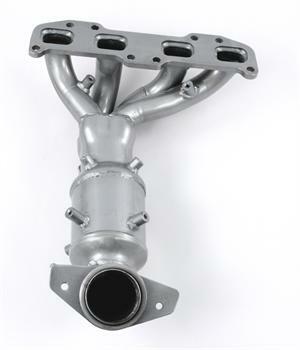 USA made from stainless steel, these exhaust manifolds include a new high flow catalytic converter and are a direct fit bolt on replacement. You'll be able to bolt this manifold right in place of the factory manifold. Your O2 sensor (if equipped) will also tap right into the new manifold with ease. Whether you're looking to replace a rusted out exhaust manifold or cat, or you're looking to pick up a little extra horsepower, Pacesetter Catted Exhaust Manifolds are a great solution! The part number for this item is 753004 and it fits 2005-2006 Nissan Altima 2.5 4 Cyl models.